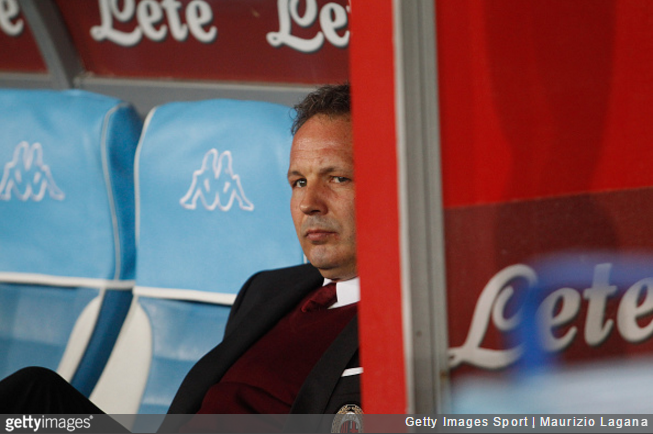 Hardly regarded as one of football’s classiest acts, Sinisa Mihajlovic has a long history of failing to keep his nigh-on medieval world view to himself. The Serbian lost his job as AC Milan manager at the weekend when the equally obnoxious Silvio Berlusconi ran out of patience and pulled the plug on his 10-month tenure, immediately replacing him with Christian Brocchi. One of the first people to publicly herald Brocchi’s appointment was Melissa Satta, the wife of Milan midfielder Kevin-Prince Boateng. You can only really speak about situations like this when they are behind you. But I believe that with Brocchi, the Rossoneri dressing room and atmosphere around the club will become a lot calmer and more tranquil. Unsurprisingly, Satta’s comments did not go down well with Brocchi’s predecessor, who duly used a subsequent interview with ‘Striscia la Notizia’ to address/discredit them entirely. I’m not sexist, but I don’t think women should talk about football. They are not suited to talk about it. Thank heavens he’s not a sexist, eh? Who knows what he might have said if he were. I don’t think ‘obsequious’ means what you think it does. @Miguel: Apologies, that was Chrome auto-correcting my feeble attempt at spelling ‘obnoxious’ correctly. Good catch. I’m not sexist, but MAKE ME A SAMMICH. I’m not sexist, but STFU THIS IS FOOTBALL. Jesus, he’s really not sexist.